Ever pick out your favorite colors in M&M’s when you eat them? Are you drawn to a particular color? Statistically, the company puts the highest number of blue in each container…in fact 24% in each bag. Can you guess the least amount? Yep, brown, an average of 13%. Any guesses as to why blue is favored over brown? I don’t have the answers, but have my own theory. 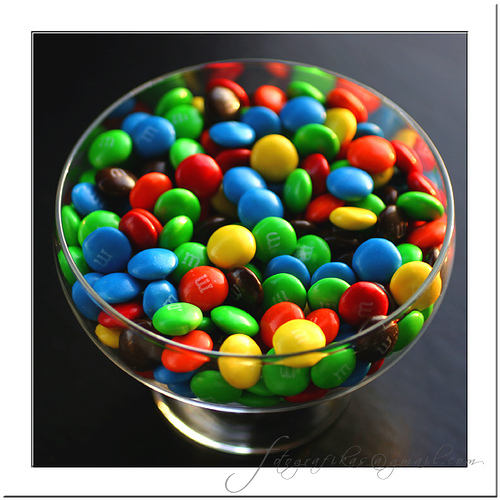 Posted on June 24, 2012, in Leadership, Management, Success and tagged Cathy Berggren, Inspiration, M&M's, Motivation, Sales, Stand out, Success. Bookmark the permalink. 6 Comments. Inspiring article Tim. Great find. Thanks Peter! Have a great day…. Thanks Tim for sharing my blog article. I am honored that you did that and glad you and your friends liked it. My pleasure Cathy! I really enjoyed it, and glad that others did as well. Thanks again for your insight. Stay in touch….